Florin Hilbay, the former Solicitor General stands with incumbent SolGen Jose Calida on the view that the P10.7 million in allowances that Office of the Solicitor General lawyers shouldn’t have been flagged by the Commission on Audit. Hilbay expressed his opinion through his Twitter account. “The OSG, unlike most other government agencies, is specifically allowed by law to receive allowances (not from its own funds, but from those of other agencies),” he said. He added that, “Thus ‘the Solicitor General and his staff are specifically authorized to receive allowances as may be provided by Government offices, instrumentalities and corporations concerned, in addition to their regular compensation." The OSG is the “law firm” of the government, with lawyers representing government agencies in any litigation. 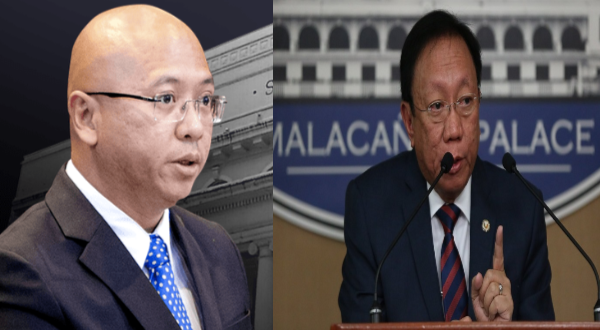 Hilbay cited Presidential Decree 478 and Executive Orders 292, and Republic Act 9517, an Act to strengthen the OSG,all laws which allowed the office to receive allowances for their lawyers. Hilbay further added that there is a practical reason for this system. Allowances allow the institution to retain good lawyers. He said that lawyers would then be encouraged to join the OSG, and not go for private corporations. "Litigation takes time and expertise needs to be developed. If OSG lawyers are so easily pirated by law firms and corporations, it will prevent the gov’t from developing a good career bureaucracy that can litigate for the republic over long periods,” he explained. The statement sprung after the COA's audit report on the OSG which flagged the 10.7 million allowances including the P7.4 million Calida received. The COA asked that the OSG return the amount to the government. The former SolGen pointed out the COA's error of using a 1985 COA Circular which limits allowances in government to 50 percent of an employee’s salary. Hilbay said that the COA circular was in way superior to a legislative act. He noted that the Congress controls the power of the purse and therefore has clear constitutional authority to provide exceptions to general rules. “Law trumps administrative circulars. This is basic. While COA’s circular may have the power to limit allowances of government employees in general, such power must yield to the power of Congress,” he said. He also noted that the examination was not conducted by the COA en banc, but only by its resident auditors. In its 2017 annual report, the COA said Calida’s annual salary is P1.827 million, which means he can only receive a maximum additional compensation of P913,950. But the COA noted a total of P8.376 million allowances which he either directly received or through the OSG’s Financial Management Service, thus an excess compensation amount of P7.462 million.